Shhh ... I have a secret. 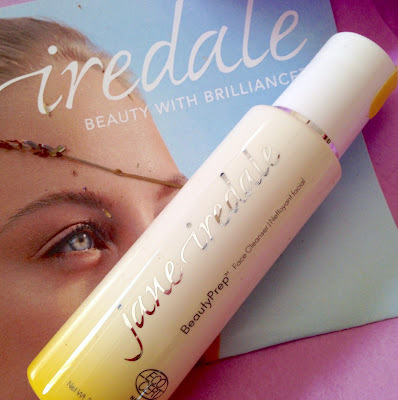 Up until recently, I was a Jane Iredale virgin, meaning that I had yet to try the extremely popular beauty line. I still haven't used any of the makeup (I keep seeing natural beauty bloggers praising the BB cream, though), but for the past couple weeks, I've been test driving the new BeautyPrep skincare. 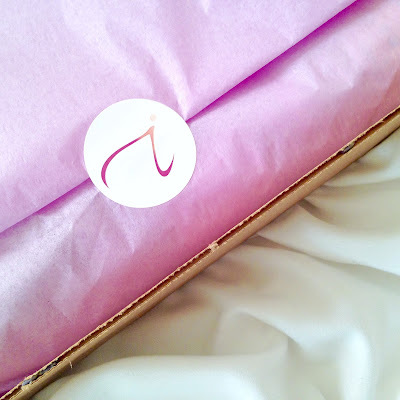 Thanks to Gabrielle St. Claire of Eat Drink Shrink, I was sent the new Jane Iredale BeautyPrep Face Cleanser, Toner and Moisturizer. 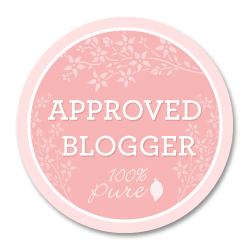 I teased the other day on Instagram that I had been getting to know this trio of high performance, natural and organic (certified by ECOCERT), cruelty-free and vegan skincare products, and now I'm ready to share my thoughts. 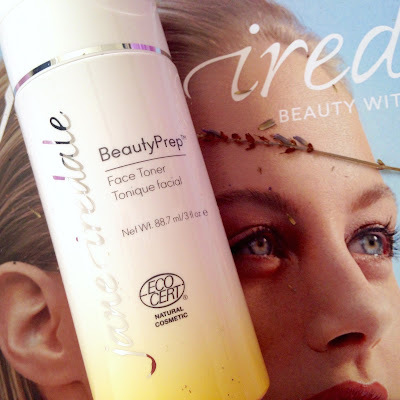 First up is the Jane Iredale BeautyPrep Face Cleanser, which is one of those micellar waters I keep reading about. It claims to be "a no-rinse cleansing water that provides a deep pore cleanse with nourishing oat amino acids. Ideal for removing makeup and cleansing skin prior to toning and moisturizing. [It] contains a proprietary micellar water with dual cucumber extracts in liposome form that gently hydrate, smooth and protect the skin. 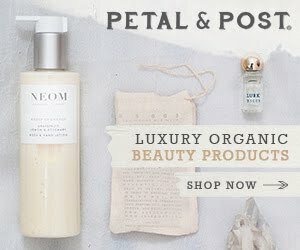 [It] removes environmental pollutants and is antioxidant rich to help reduce free radical damage." Honestly, I'm not a big fan of no-rinse cleansing methods, although I do sometimes use makeup remover wipes in a pinch (when the power goes out or prior to washing my face with another cleanser). Therefore, I must confess that I cleansed my face with this and a wash cloth at the sink (other reviewers have recommended using it with a Clarisonic brush or the Jane Iredale Magic Mitt), and yes, I did rinse. 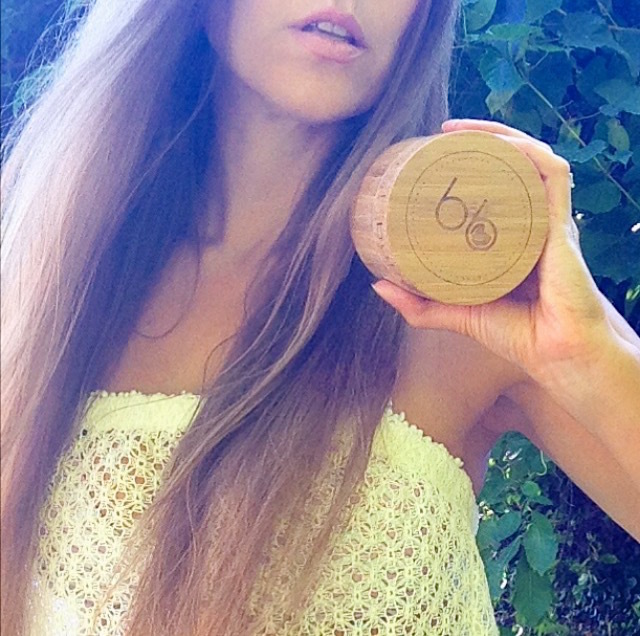 This cleanser actually looks and feels like water, but it cleanses away dirt and makeup. My makeup came off quite easy, except for a bit of stubborn mascara, which required a second cleanse (at least it didn't bother my eyes). I'm not sure if I'd call this a deep cleanser; however, it does leave my skin in balance and ready for the next two steps. The Jane Iredale BeautyPrep Face Toner is described as "a gentle toner that refines pores and moisturizes with organic botanical liposomes. [It] prepares skin for layering moisturizer and makeup. [It] is infused with herbasome, a fruit extract infused water, which provides deep skin hydration and contains organic lemon grass, apple, pear, carrot and coconut water to balance pH and restore the surface of the skin." This toner has a crazy, plunger-like dispenser that makes it easy to dispense the proper amount of product onto a cotton ball, cotton round, washcloth, etc., although it would also be nice to have the option of a spray, as it's quite refreshing (I wouldn't mind a quick spritz of this throughout the day). It's scented with organic lemon grass that's quite energizing and makes me happy. It is very gentle on my skin, and is not over-drying. "White rose supports natural cell regeneration and the skin barrier, while restoring suppleness. Damask rose helps to tighten pores, purify and smooth the skin. Rose canina (rosehips) calms and brightens skin and helps prevent transepidermal water loss. 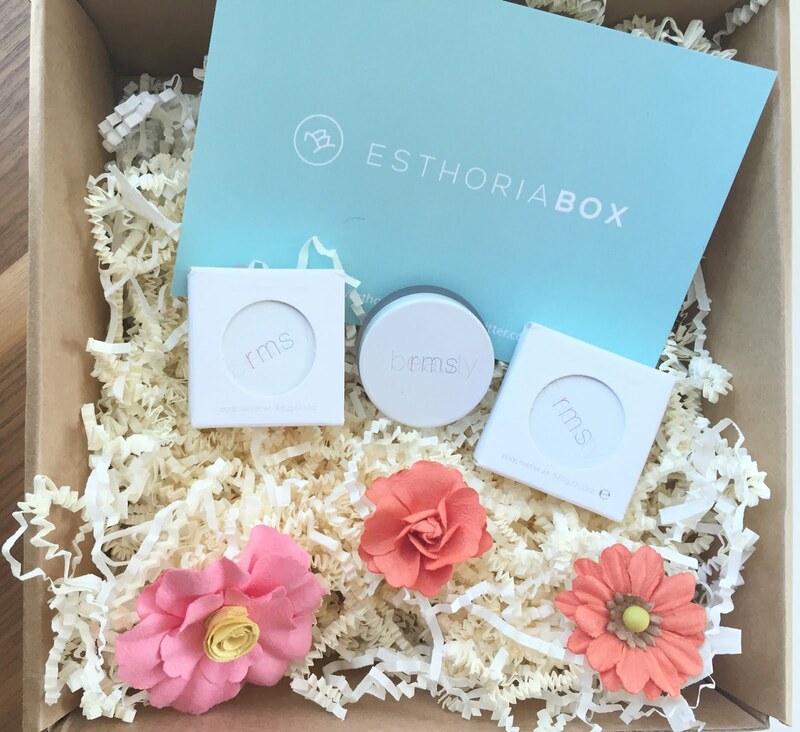 pale rose helps to rebuild the moisture barrier and provide suppleness for the appearance of newer, softer skin." 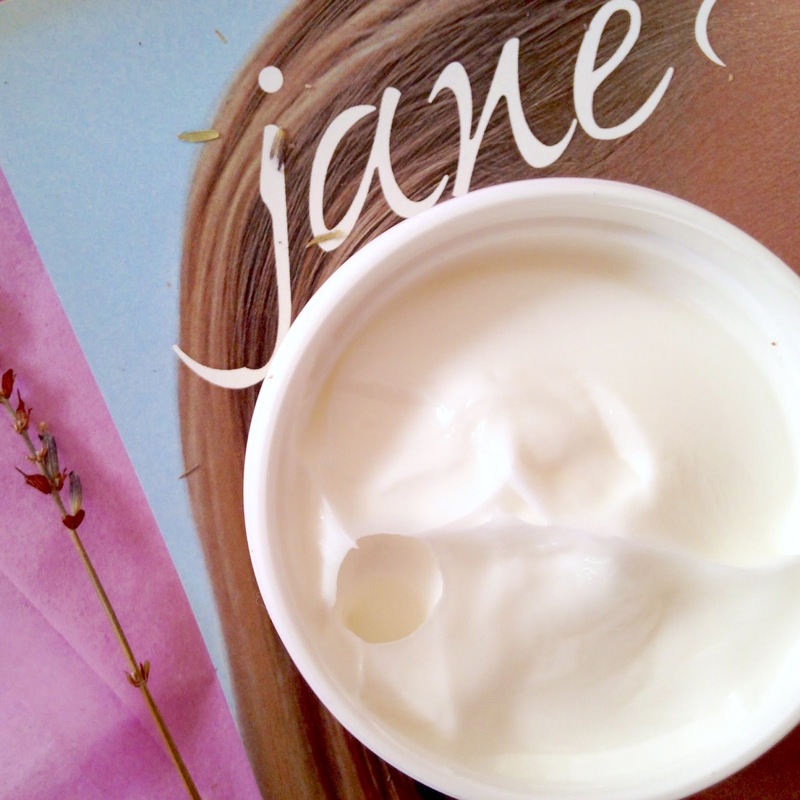 Inside this simple container is a thick, creamy moisturizer that smells so fresh and lemony. It immediately makes me think of a lemon meringue pie. It moisturizes and nourishes my skin, while having an almost exfoliating effect. Sometimes, it tingles slightly, but the results are a soft, smooth, even and tone finish to my skin. It's not too heavy under makeup; it's actually meant to prep your skin for makeup. My usual products glided on beautifully, without a primer, although I'm not sure if helped my makeup last any longer. While I've been testing this moisturizer, I even experimented with using it as my eye cream, as well (just telling it like it is). Folks, there's a reason why there are separate creams marketed for near your eyes. It gets the job done, but when I got it too close to my eyes, it made them water a lot. 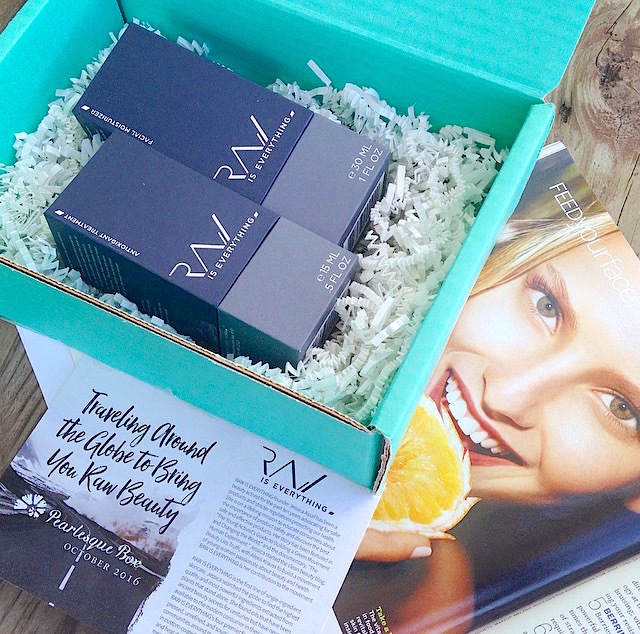 Maybe this product could be the start to formulating a BeautyPrep eye cream. It's just a thought. 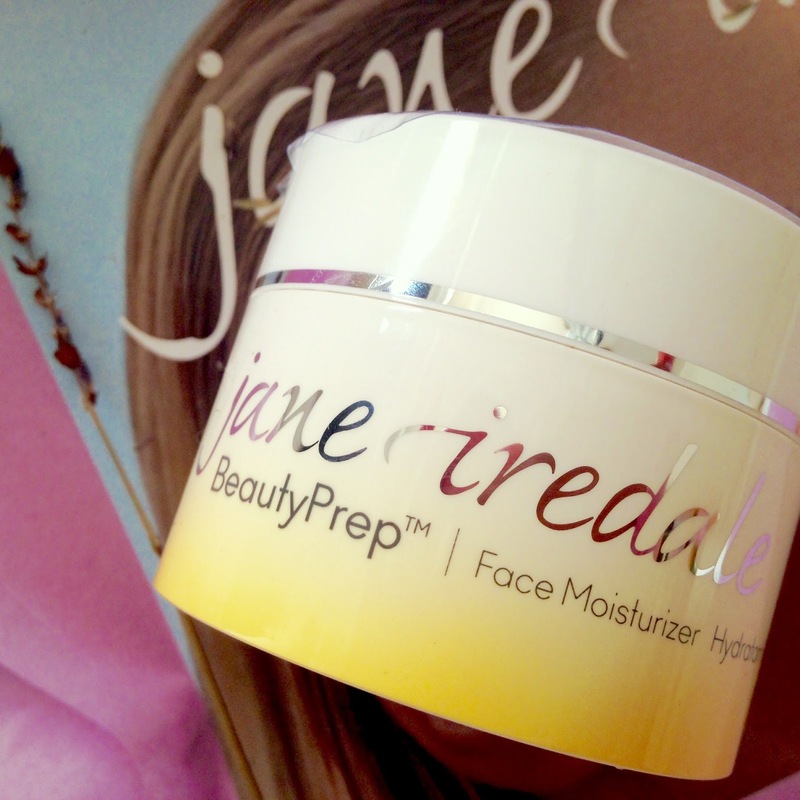 Have you tried Jane Iredale's new BeautyPrep skincare or any of the other products? Let me know your thoughts on Twitter at @Rawdorable and/or Instagram (also @Rawdorable). *I was sent these products via Eat Drink Shrink and Jane Iredale.